Home » All Recipes » Mixed Berry Popsicles | Low Carb Popsicles! Mixed Berry Popsicles | Low Carb Popsicles! Who says fat bombs have to be boring? These Mixed Berry Popsicles are perfect for summer and are far from boring. They’re simple, delicious and an excellent way to cool down in the summer. Outside of being a fat-bomb, these are also just an excellent low carb popsicle. Popsicles are one of my favorite ways to cool down in the Texas heat, but oftentimes they are full of sugar and high in carbs and not something I welcome as part of my diet. Berries are an excellent fruit to use minimally in low-carb cooking for BIG flavor. It doesn’t take many to impart flavor throughout the entire recipe, which is good because if you get too much fruit, you really start to stack on the carbs and natural sugars. While natural sugars are better than refined ones, too much natural sugar is still a bad thing. WHAT’S IN THESE MIXED BERRY POPSICLES? 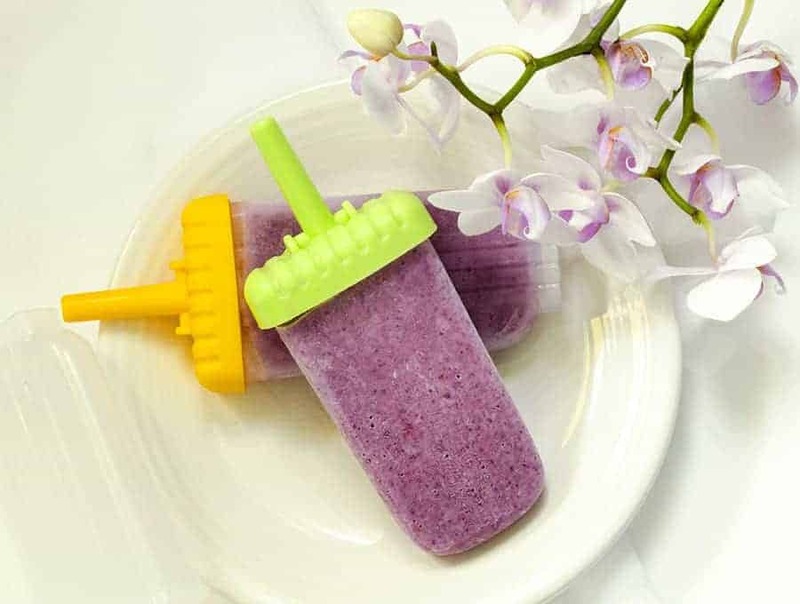 All you need to make these Mixed Berry Popsicles are frozen berries, heavy whipping cream, cottage cheese, Swerve or Truvia, and vanilla extract. 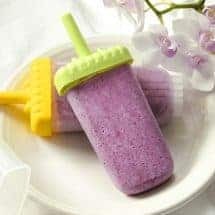 The heavy whipping cream and cottage cheese help to make these Mixed Berry Popsicles a fat bomb and also make them creamy and delicious. It helps make the mixture smooth and not at all seedy. Pop them into some popsicle molds and in a few hours you’ll have delicious Mixed Berry Popsicles. LOOKING FOR MORE CHILLY SUMMER TIME SWEET TREATS? TRY MY MANGO FROZEN YOGURT RECIPE! 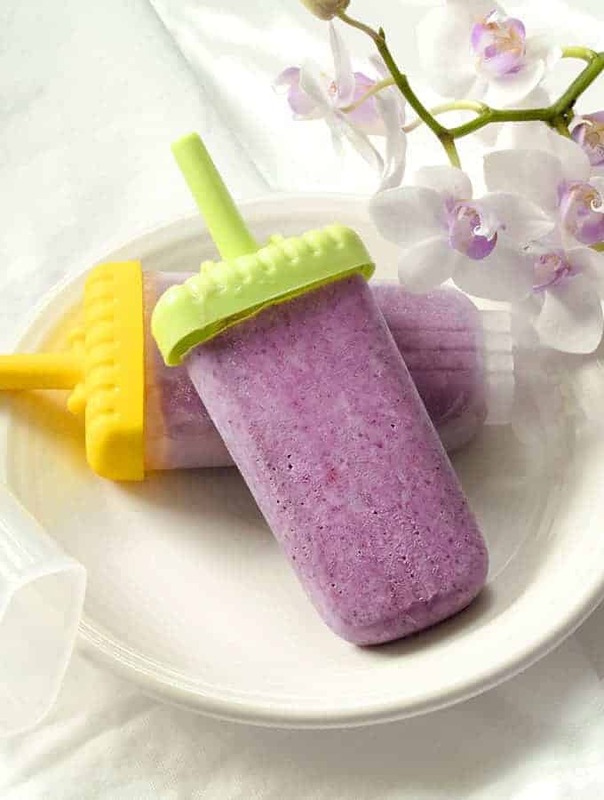 These Mixed Berry Popsicles are a great cold treat for a hot summer day! They're also low carb and low sugar, so you can eat them guilt free! Place all ingredients into a blender and mix until well blended. You will have a rather thick mixture at this point. Pour into 6 popsicle molds and freeze for 4-6 hours. Alternatively, churn in an ice cream mixer and serve when set.